In the middle of a sweltering summer, you know what sounds amazing? A chilled bowl packed to the brim with crisp lettuce, juicy tomatoes, refreshing cucumbers and crunchy celery. No wonder the last week of July is designated National Salad Week. I can’t think of a more satisfying dish for this time of year. Yes, eating salads is quite good. But growing them is even better. Last month, I wrote about growing a Chef Tower Garden to kick off a series of posts inspired by a recent Tower Garden Facebook Poll. In this second installment, I’m going to show you how to grow a Salad-lover Tower Garden. Sound like your ideal garden? Let’s dive in! It’s the little things in life, right? These are my top recommendations, but there’s really no wrong way to make a salad. What would your list of ideal salad plants look like? Leave a comment to let me know! 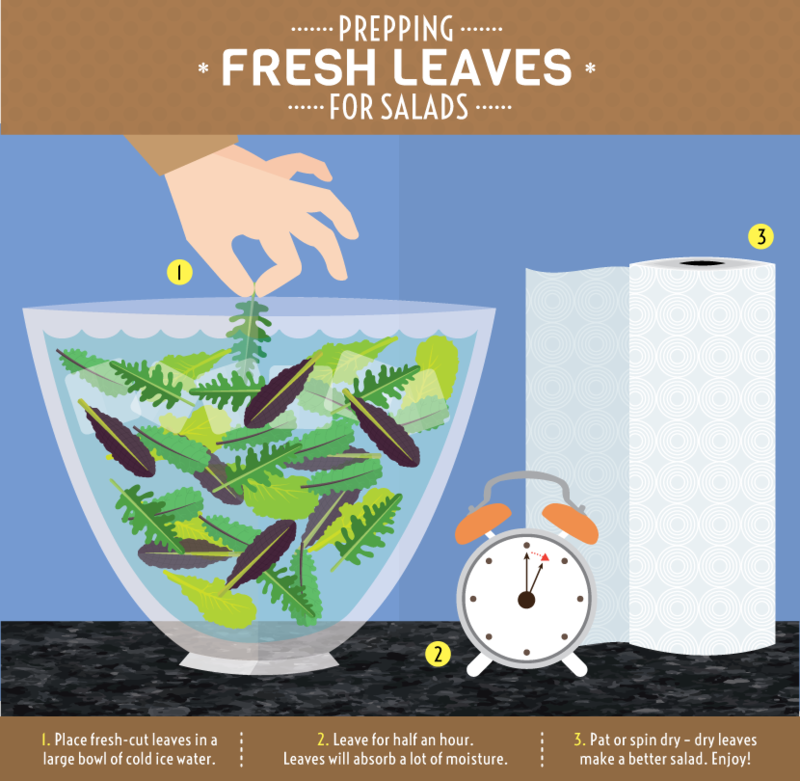 Want to eat fresh salads every day? You’ll need to reserve about 2–3 growing ports per family member for lettuces and greens. Feel free to adapt the following plan as needed. For example, if you don’t like mustard greens but love lettuce, grow lettuce in two ports and leave out the mustards. As you tweak the plan, just try to keep the same big-to-small, pyramid-like arrangement. This will help keep your Tower Garden balanced. And here’s a fun idea: take your greens on the go by packing a salad in a jar. OK, I’m off to make a salad! Do you have a question? A must-try salad recipe? Let’s continue the conversation in the comments below.